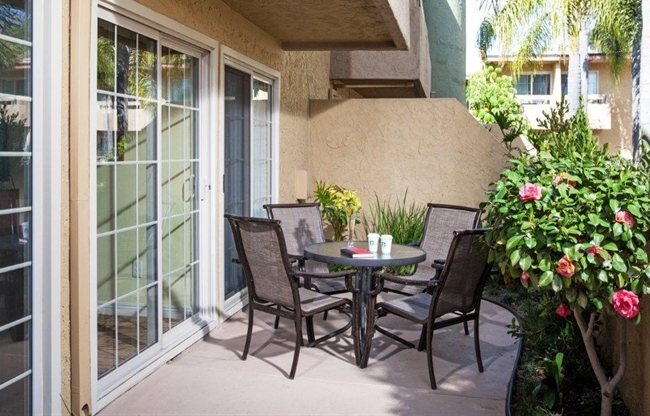 Hang out in our heated outdoor pool, head to the beach, or visit the San Diego Zoo and Sea World. There are endless activities for families at our resort and nearby. Thrilling races and fun are just across the street from our resort. 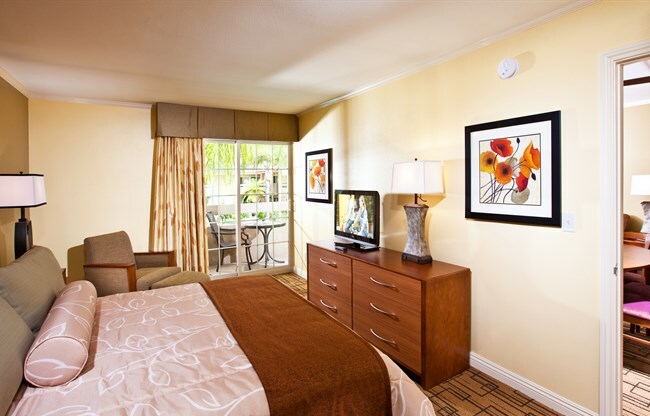 Thanks to our convenient location, you can relax and rejuvenate in our spacious suites before you begin exploring the San Diego area. Enjoy the beautiful beaches of Del Mar, or experience your favorite attractions like SeaWorld® San Diego, LEGOLAND®, and the San Diego Zoo. 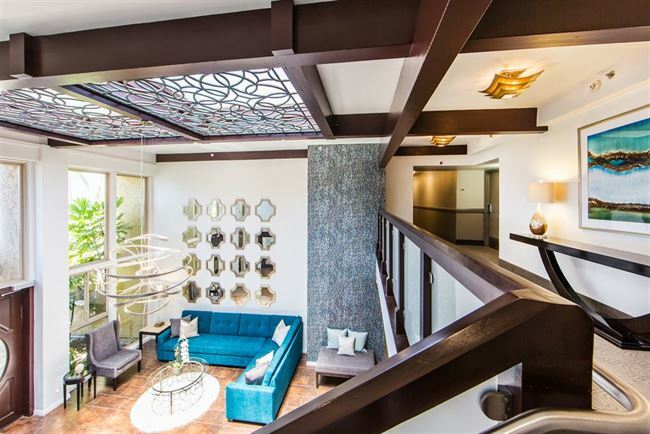 Everything is minutes away, making our hotel the perfect choice for your upcoming family vacation, business travel, or a spontaneous getaway. 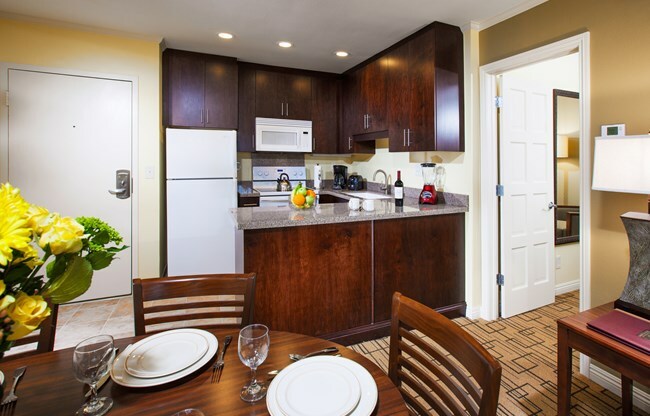 As your home away from home, we offer large suites with in-room kitchens, and plenty of activities and amenities for you to enjoy during your stay. Let the kids splash around in our heated outdoor pool while you relax in the nearby hot tub. 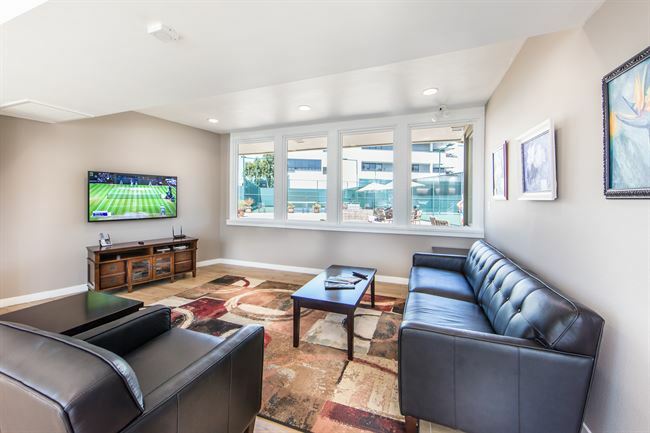 The clubhouse offers plenty of indoor fun—play a game on the pool table, ping-pong table, or watch the big game or a movie on the large-screen TV. When everyone gets hungry, cook up some hamburgers and hot dogs on our barbecue grills, or stop by one of our two on-site restaurants for a delicious, freshly prepared meal. 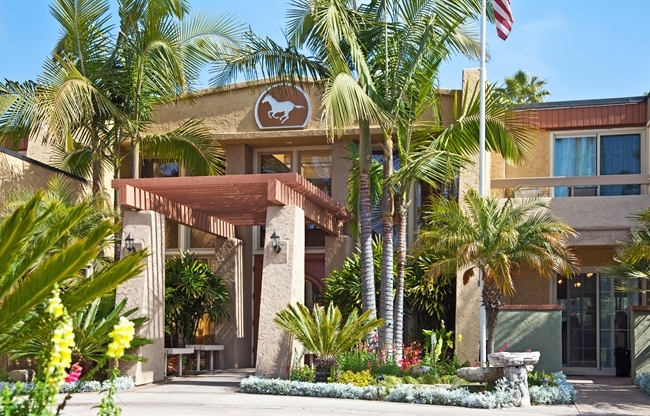 Great Place in Del Mar/Solana Beach! This is really a nice place - especially for an extended stay. Very pleasant people at all times at the front desk - smiling and willing to help. Easy parking close to the building. Two restaurants share the same parking lot - but far enough away that it's not a problem I had a one bedroom unit - full kitchen with stove, microwave and refrigerator. TWO bathrooms - one in the living room area - and one in the separate bedroom. Very nice facilities and very quiet at night. LOVED my stay! My husband and I were very pleased with this hotel. It is so nice to have a working kitchen with a stove, refrig, microwave, dishwasher, toaster and coffee pot. We had a studio which was sufficient. The bathroom was small but the shower was nice with sliding doors. I just wish it also had a handheld spray. My son and his family had the one bedroom unit. It had a nice kitchen area with a table for four. The TV had a bright picture. It was very convenient to have two bathrooms and the king bed was a plus. The bedroom was large and fit a full sized crib. The sofa in the living room was comfortable but they didn't try the sofa bed. 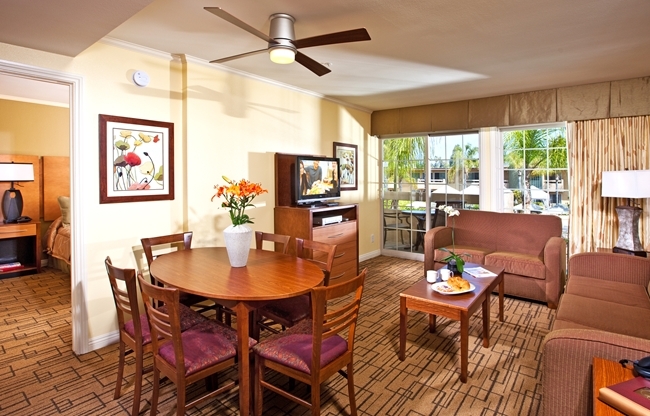 Although the hotel is older, the suites are very clean and housekeeping is extremely accommodating! Love the Starbucks coffee! I will absolutely stay here again. My daughter, her husband, baby and I spent our first 'family vacation' here. It was so nice. They had a great 1 BR unit complete with pack and play crib. We spent time in the hot tub, pool, and walking to the great Delmar beach. Thank you so much for a wonderful time with family.